The name may be something of a giveaway, but the Nike Lunarglide 6 is meant to have some of the smoothest transitions of the whole Nike range, being a lightweight shoe kitted out with suitable flex grooves, adequately padded soles and roomy toe boxes, all of which combine to make a shoe suitable for a wide array of runners and running styles. Nike is one of the premier sporting brands throughout the world, and the Nike Lunarglide 6 by and large does an excellent job of living up to the name. 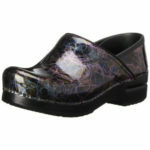 This is a highly desirable shoe with a wide array of features ideal for just about anyone. Nike shoes always have a distinct and immediately recognizable look about them and the Nike Lunarglide 6 is no different in this regard. The use of materials throughout all of the shoe is absolutely stellar and contributes to this shoe feeling like a real premier product. The color schemes utilized will also suit just about any taste, from a smooth and sleek black to brighter shades of blue, green and orange. The material utilized in the overlay, the mesh is much finer than other products and gives a fantastic weighting to the overall shoe design. Unlike other companies where the upper of certain shoe brands can remain untouched for multiple generations, with the Nike Lunarglide 6 the upper has been completely reworked to allow for a more expansive toe box and increased breathability, alongside the excellent structure. The panels themselves are made of Nike’s Lunarlon material, which overlays synthetic overlays at strategically placed intervals and this allows for excellent breathability also thanks to the thin, yet supportive nature of the walls. The toe box itself is also much roomier than on previous generations of the shoe, meaning that for wider toed runners the shoe is much more comfortable. Support comes from the well designed inner cradle of the shoe itself, which hugs the foot in place and ensures minimal slip whilst running. The insole of the Nike Lunarglide 6 has also been extensively reworked with a new sole material providing an incredibly well cushioned ride. This material conforms to your foot shape much quicker than previous models, whilst still providing a sufficient cushioning effect from below to support your feet in a variety of configurations. Nike utilizes their “Flywire Technology” to good effect throughout the insole of the shoe, improving the medial arch support whilst also offering an excellent flexibility range at the same time. 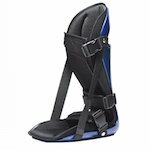 The size of the heel cup and midsole range has been increased, with the aim of added stability. 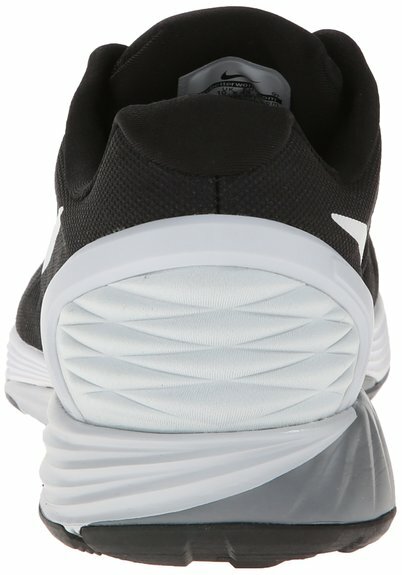 Lunarlon foam is utilized throughout all of the heel of the Nike Lunarglide 6, which means that despite the more robust outer layer, in the core of the sole is well cushioned and thus smooth to run on. 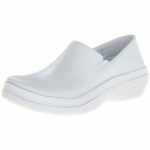 The midsole is also reinforced to reduce the issue of overpronation throughout the shoe. 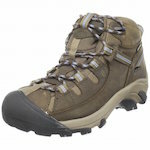 The outsole has also been redesigned, being a little more robust than on previous models to allow for much greater traction, especially on wet surfaces. There has also been an installation of more suitable flex grooves throughout the shoe, allowing for excellent flexibility and improved responsiveness throughout. All of these reworkings mean that the cushioning of the Nike Lunarglide 6 is fantastic. The Lunarlon material utilized throughout the heel is incredibly supportive whilst offering fantastic resistance, and the medial arch is much more comfortable than on previous models, being ideally located to ensure that your strike is comfortable. 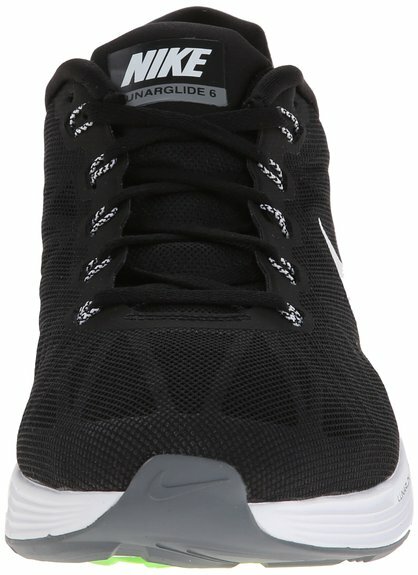 There has been a tendency for reworked grooves to work against the favor of the shoe but this is not an issue with the Nike Lunarglide 6. Deeper, more specialized cuts have been made to ensure there is good control over the shoe throughout your running stance whilst also ensuring adequate flexibility for all run types. The Nike Lunarglide 6 is an excellent lightweight running shoe, no matter your skill or ability. It is sufficiently flexible, breathable, well designed and generally suitable to all of your running needs, and it is not overly expensive, making it an incredibly viable option. I hope that this Nike Lunarglide 6 review has been helpful.